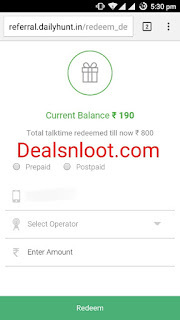 Hello Dealsnloot Readers,I am Back With New App...Called As,DailyHunt App – Get Rs 20 Sign up + Rs 20 Free Recharge per Referral, Yes Daily Hunt is offering Rs 20 Free Recharge for joining and Rs 20 Free Recharge per Referral. 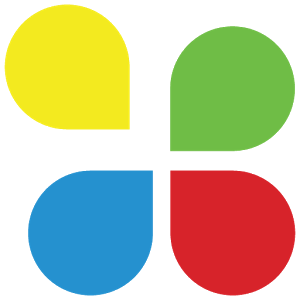 Dailyhunt (Formerly News Hunt) provides latest news, study materials for competitive exam preparation & eBooks. 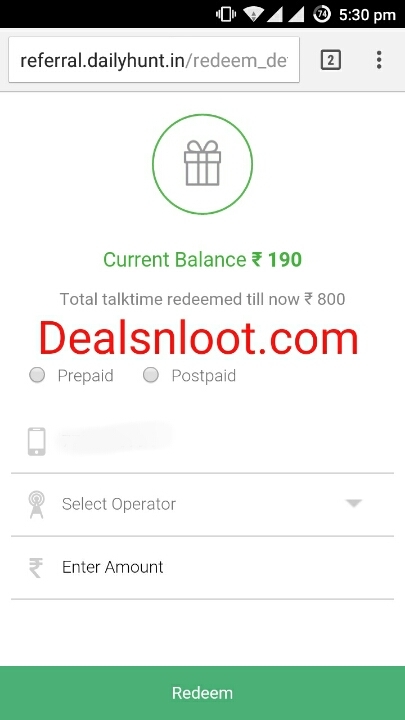 Stay updated with breaking news, current events & daily news headlines on politics, business, technology, Bollywood, sports, live cricket score & more for India & World.Minimum Redemption amount is Rs 50 and Maximum earning is Rs 1000 Free Recharge.So Grab This Loot App and Earn Unlimited Free Recharge Loot. Redeem Update :- The Daily hunt Refer And Earn Campaign Is Over.But Currently They Start Redeem System So Redeem Your Reaming Credit In Account. Redemption Live Till 10 May 2016.And If You Not See Banner Of Refer And earn Then Refresh App And Restart App. 2. Once you download, open it and then you can see Green banner of Refer & Earn program between news, just click on it. 4. Now you need to verify your number. 5. After successful verification, you can see Rs.20 in your wallet. 6. Now start referring your friends and earn Rs.20 per referral. Maximum you can earn Rs.300. So start referring your friends and earn free recharge upto Rs.1000. Do not forget to comment down for more queries. 1) After Verification of Mobile number, You will get the Sharing option in screen. 2) Click on it and Get your Referral code, Once your friend download DailyHunt App and Verify their Mobile number with OTP. Then you and Your Friends Both gets Rs 20 in their wallet. YOU CAN RECHARGE ONLY AFTER 24 HOURS YOU JOIN AND REFER IN THIS CAMPAIGN. Maximum You Can Earn Free Recharge Upto Rs. 1000.